The attorneys at our law firm have more than 400 years of combined legal experience among them, so we possess the skills and resources necessary to handle the complex demands of your case in order to help you secure the compensation and benefits you deserve. We will assign a lawyer and two paralegals to your case in order to provide you with the highest level of service and support possible, and we will remain in constant contact with you throughout the process to ensure the best odds of helping you achieve the positive results you expect. 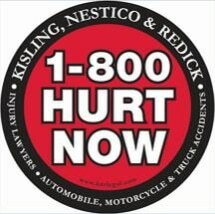 If you suffered an injury or lost a loved one due to another party's negligence or wrongdoing, you can trust Kisling Nestico & Redick LLC for the dependable legal advocacy you need. For more information, you can contact our law firm to schedule a free initial consultation.